100% Polyester. 6 panel structured laid back front. 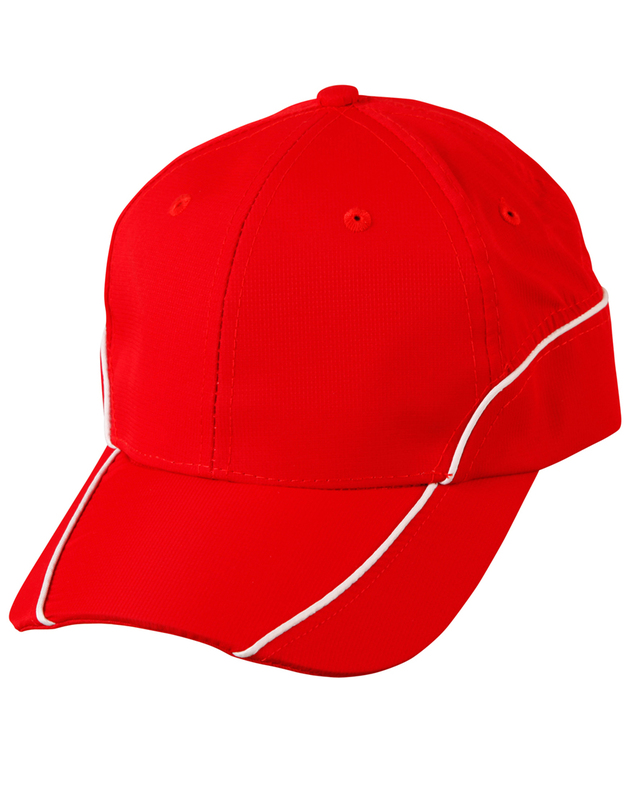 Nylon ripstop with polyester mesh lining, contrast trim across peak & crown. Short velcro crossover.